Ready to give your sales team a boost? Sales training can be a great investment. However, be sure to approach your training and development process the right way. Take a look at the following article to learn more about what an effective training process entails. Sales Training is one of the best investments you can make for your sales force and organization. However, in order to yield the sustainable, long term return that you desire, you must approach your sales force training in an individualized, dynamic, and persistent manner. Let’s talk about these crucial components of the training puzzle that will enable you and your sales force to improve and succeed. Let’s say you feel as though your sales team needs training on closing techniques. Where do we begin? First, we’ll need to find the right person to provide skills training on closing. Now, it’s very important we approach and invest in this training as a process rather than an event. Why? Because it may be possible to learn the skills in an event, but it takes a process to identify why people are having difficulty closing and to address these habits. Let’s walk through a few key steps of training. A) Unique Training Sessions: As we mentioned, sales training should be tailored to the individual. 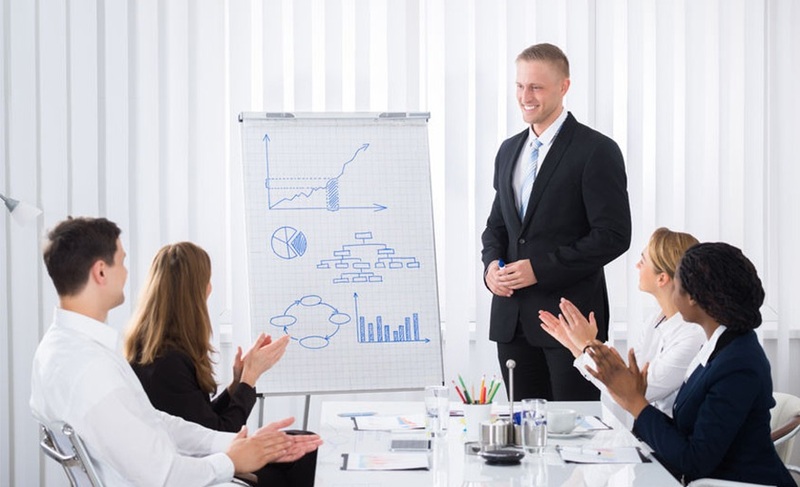 Have your sales force evaluated to determine exactly what the training must address at your company. An effective trainer can use almost any content and get your people to respond and take action. That said, content should be aligned with the issues identified in the sales force evaluation and should be modular. In other words, there should be unique sessions or programs that deal specifically with each of the issues identified. B) Learn & Adopt: This is where sales training and development is a two part process. An effective trainer will provide both content on skills and content on how to change and adopt these skills. The trainer must be dynamic, interactive, and of course, entertaining! An entertaining trainer who is interactive will get your sales people to participate, enabling the mutual goal to change rather than just to train. An effective trainer must also provide realistic day to day situations using role-play scenarios so that everyone can see, hear and sense how a particular approach must be executed. C) Reinforcement: Next, in order for your sales people to fully learn, internalize, and apply their training, specific topics should be continuously covered in detail to reinforce the new skills they have learned. So, the one or two day training event should be a kickoff of sorts - a synopsis of what will be covered throughout the year. An effective trainer will follow up once or twice per month to ensure the participants are enhancing and executing their skills in the field. D) Accountability: Accountability is often overlooked by trainers, participants, and managers; that can be a very costly mistake! Who will hold the salespeople accountable for what they learn, what they apply, how they apply it, and where and when they use it? Who will hold them accountable for their progress from the training? The salespeople may be exposed to the trainer and their content once or twice a month, but it is important than your sales manager is reinforcing and holding your salespeople accountable throughout the rest of the month. The impact of sales training can be very significant. However, unless training is done the right way, you may not see any impact at all. So, next time you are ready to give your sales team and revenue a boost, be sure to check off these four crucial components throughout your sales training process.